So yesterday we got as far as May Prinsep's marriage to Andrew Hichens in 1874 and the Cameron's move back to Sri Lanka (Ceylon) in 1875. Andrew wrote to May's brother Harry that he considered the Cameron's move to be 'total madness', but then the family finances were stretched to breaking and they had to make a move. It is certain that they were greatly missed and sadly never to return, Julia dying in 1879 and her husband in 1880. 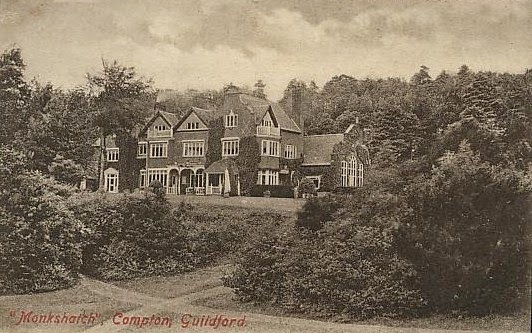 The Hichens not only kept a house in London but also Monkshatch in Compton, near Guildford, Surrey. Mary Seton Watts described the house as standing high yet sheltered by a chalk cliff from the north and east winds. The chalk behind reflected back sunlight into the home and made it an idyllic place to live. 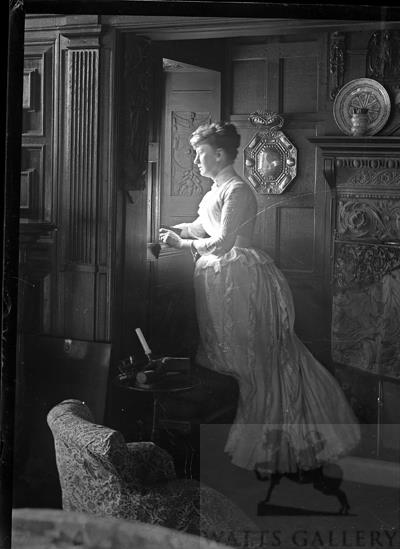 May and Andrew used the house at weekends and holidays, spending most of their time in London, so when G F Watts' health failed, the coupled offered him the use of the house in which to recuperate. Andrew had become as attached to Watts as his wife, writing in a very emotional letter to the artist that 'you need not be told how entirely dear you are to us, and how very nearly all that concerns you touches us.' When Watts married for the second time, to Mary Seton in 1886, their first stop after the ceremony was to lunch with May and Andrew in Chester Street. It is undoubted how deeply May and Andrew cared for Watts, 'the beloved little man' as they referred to him. When the Watts moved into Monkshatch, they turned the living room into a space Watts could paint in, Andrew remarking 'I told you I built that studio for you'. The Library was theirs to be alone in, but if they wanted company they could roll back the dividing panel and watch Andrew and May at dinner. Watts remarked to his wife on one such evening 'I wonder if any other roof in England covers four happier people.' When Mr and Mrs Watts finally moved out, they went only a short distance, building a house in the village, called Limnerslease. The parental figures in her life slowly vanished as Henry Thoby Prinsep died in 1878, followed by Aunt Sara in 1887. Watts died in 1904 and two years later Andrew died at Monkshatch on 27th August 1906. He was cremated and his ashes interred at the beautiful cemetery that surrounds the Watts Chapel. Two years later May's brother paid a visit from Australia and it was the first time he had seen May since 1866. 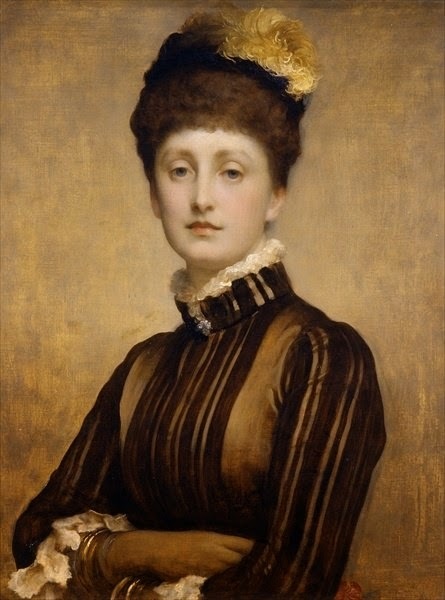 Harry Prinsep (1844-1922) had visited his father's estate in Australia (also called Belvedere after the estate in Bengal) whilst on his 'grand Tour' after schooling and fell in love with the land and a woman. Even on the other side of the world he had run into old friends. Having met the Tennyson family while staying with family in England, he became firm friends once more with Hallam Tennyson, son of the Poet Laureate, while Hallam was serving as Governor of South Australia (1899-1903), then Governor General of Australia (1903-4). In 1918, younger brother Jim Prinsep wrote to Harry : 'It's a profound secret...you'll be able to swagger a bit by referring casually to 'my brother-in-law, who was formerly Governor-General'. What Jim was alluding to was the marriage of May to Hallam in July of that year. Both were free to marry but the reason for the secrecy may well have been because of the events which had preceded the marriage. 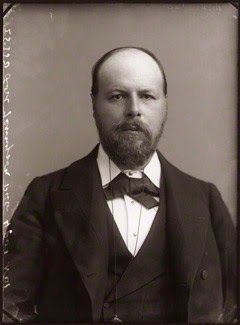 Hallam had been married to Audrey Boyle in 1884, inheriting his father's title on the poet's death in 1892. They had three sons, Lionel, Alfred and Harold, all of whom served in the First World War. Harold died in 1916, aged 19, when his ship, the Viking, hit a sea-mine in the English Channel. Possibly due to the affect of this tragic loss, Audrey died in December of the same year. In March 1918, Alfred died in action at the Somme. Even though he had been a widow for two years, it is unsurprising that May and Hallam wished to get married quietly in the midst of such sadness. They were wed at South Stoneham Church, Southampton, on 27th July 1918. In 1928, Hallam died at Farringford. May moved to the Dower House at Glenbrook St Francis, overlooking Freshwater Bay. 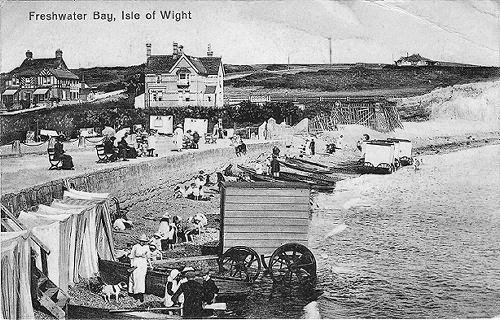 Dower House is the house nearer the sea in the image below. Here she established a library of improving books. It seems right that a woman who held so much affection for both her family, her adopted family and the people of her community should herself be remembered with love. To find out more about May's brother Harry, Malcolm Allbrook's Henry Prinsep Empire is free to download here. Thank you for two very interesting posts about a remarkable woman. My pleasure, especially as I got to do a bit of visiting. The picture of South Stoneham church is mine, and it's always a joy to go up to Compton. Ah. Illuminating my May jigsaw. Thank you, enjoy your cake! What a fascinating story! Just a few thoughts: Firstly, May must have been only 13 or so in the photographs and about 16 when some of the paintings were done. I think she looks older than that (especially in the paintings). It's also interesting that she ended up marrying Hallam Tennyson when they were both in their sixties and widowed. 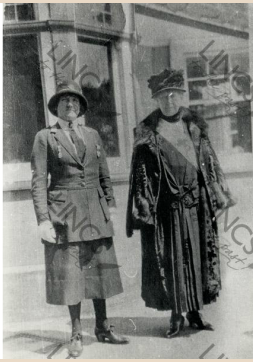 Hallam and she must have known each other from when they were in their early teens when May would visit Freshwater. It's lovely to think of them rekindling their friendship after half a century or so. It's nice to think of May comforting Hallam after losing his two sons in the war and then his wife as well. I wonder what it was like for May when she came back to Freshwater, now as mistress of Farringford. 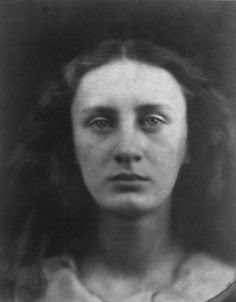 She must have looked back with nostalgia on that golden period in the 1860s and 70s when Julia Margaret Cameron was in her prime, the aloof, reclusive Tennyson wandering over the down, and the whole place was a buzz of artistic activity - and of course she was young and had her whole life ahead of her, meeting her husband etc. In many ways I think JMC's departure for Ceylon must have been like the end of an era for everyone at Freshwater -such a pity that it had to happen. Just one final point. That photograph of the "Dower House" is interesting. It's a few years since I've been in Freshwater, but aren't those two houses in the picture still there? One is a hotel isn't it? Thanks again for a wonderful blog. Makes me want to head over to the Isle of Wight again! I now live in the property that was built after the original Monkshatch was demolished. It was wonderful to read this piece about the people and history of Monkshatch. Many thanks for sharing. Thank you Kirsty for the two lovely posts about May Princep and her circle. It must have been wonderful to be a part of such an artistic and intellectual set. I doubt she could have guessed that we would still be talking about them a hundred years later.